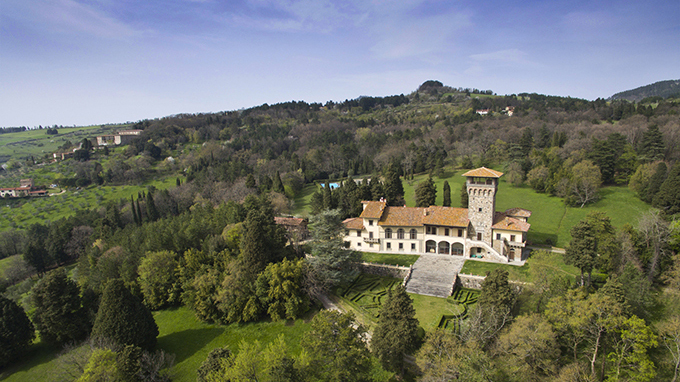 Built in the twenties around an imposing structure dating back to the 15th century, the house stands majestically in the center of a large park and is the background to the green Tuscan landscape. The dream home has a total internal surface area of ​​2,160 m2 and is situated on 3 floors, plus a characteristic medieval tower on 6 levels and a barrel-vaulted cellar. Period and architectural features of the 1400s characterize each floor and alternate with more modern elements: cross vaults, stone fireplaces, terracotta and fine parquet floors, coffered ceilings richly decorated, as well as the original coat of arms. This luxury villa is accessed via 2 long gravel paths that run through a park area of ​​over 23 hectares pleasantly lit with centuries-old trees and numerous species of plants, some of which are exotic. Here we also find a large swimming pool, 2 tennis courts and a private lake. In front of the facade there is the elegant Italian garden with beautiful roses and hedges and the area that overlook it have a perfect natural lighting thanks to large windows. The long entrance hall is characterized by high vaulted ceilings with lunettes and marble floors with geometric designs and leads to other impressive halls, including the music room with large fireplace, the loggia with arched doors and Corinthian columns, and the monumental reception room, the most important of the villa. We also find a private chapel, which is accessed by a portico. The luxurious residence is home to a total of 13 bedrooms and 9 bathrooms, finely furnished and is also perfect to accommodate several guests or events. Florence, capital of Tuscany, is known not only for its monuments and historic buildings but also for the wonderful luxury homes and prestigious historical buildings situated both in the city center and the hills surrounding the "cradle of the Renaissance". 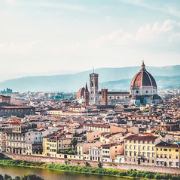 Florence is in fact in a magnificent valley surrounded by green hills of Fiesole, Settignano, Arcetri, Poggio Imperiale and Bellosguardo full of dream homes and verdant landscapes. The attractions the city offers are endless, from the famous squares such as Piazza della Signoria and Piazza del Duomo, Santa Croce and San Lorenzo, historic theaters, the bridges, the mighty walls and the ancient doors. 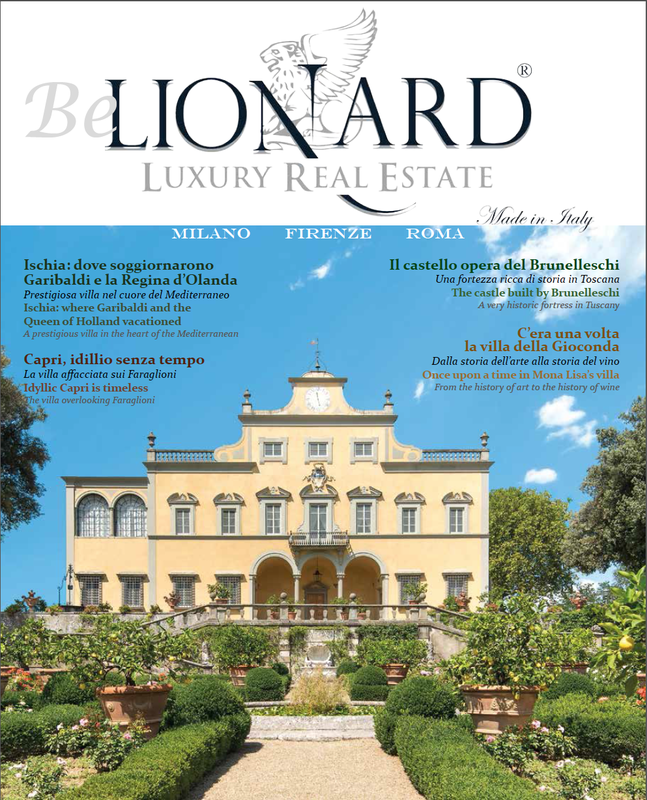 Anyone wishing to buy a luxury property will certainly find one that suits their needs in Florence and on its beautiful hills.